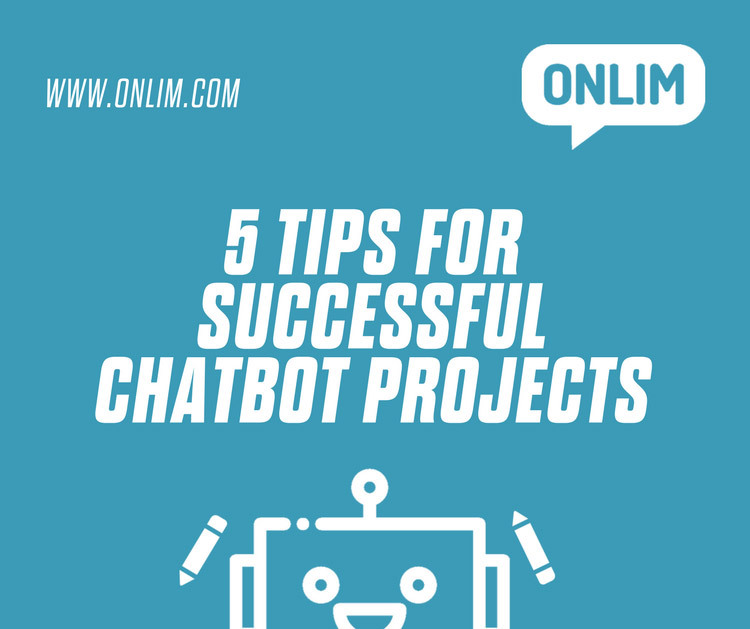 After having implemented more than 10 chatbot projects for key accounts during the last 6 months, I would like to share our 5 key factors for success with you. In our key account projects we develop customized chatbot solutions according to our clients’ specific needs. After going live all bots are running on the Onlim platform. When is a chatbot project successful? Of course, there is no general answer to that. For us, two main criteria determine the success of chatbot projects. First, the efficiency and effectiveness of the project itself and, second, if expectations towards the bot were fulfilled. The latter can of course only be seen after the bot went live. The most important question enterprises have to ask themselves when they want to implement a bot is the question about the use case. This is crucial, as the use case will massively influence the user experience of the chatbot. We often have to tell our customers that not all use cases make sense for a chatbot solution. But if you, as an enterprise, can for instance save your customers time or deliver the suitable information exactly when the customer is looking for it (Micro-Moments from Google), then you have the perfect conditions for a successful chatbot project. If you want to develop a customer service bot, your colleagues from the customer service department have to be part of the project team! We train our bots with example questions to enable them to conduct individual conversations with end users. The more relevant and comprehensive the example questions are, the better the bot will be after going live. Therefore it is inevitable to include your in house experts in the project. They know what the user really wants to know, how he/she asks and how he/she interacts. Take one single defined topic and try to handle it as detailed as possible. This enables the bot to answer a lot of related questions which leads to high usage from end users. High usage leads to a faster optimization due to the high amount of specific questions, and in return also to excellent user experience. Just in case that is not clear – your user must know if he is talking to a machine or a human. And he has to be informed if a human is going to take over the conversation from the bot. Also make sure to be transparent when you are explaining which topics the bot can answer as well as which topics the bot still has to learn. This will reduce disappointments and will lead to a better user experience. In comparison to other projects, launching the bot does not end the project. Quite the contrary. This is the start of the optimization phase. We are prepared to monitor and react in realtime. But you as an enterprise also have to provide resources to get the most out of the crucial 4-6 weeks after going live.